1) Call (855) 742 7663 and schedule your FREE property inspection. 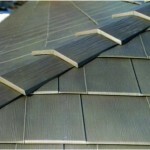 A Project Manager from Severe Storm Restorations LLC will come to your property to conduct a free inspection. The Project Manager will asses your property and locate any damage if present and take photos of the damage. In addition the Project Manager will prepare a proper scope of damages, and create an estimate at fair market pricing in a professional format that your insurance company and/or insurance adjuster will understand. 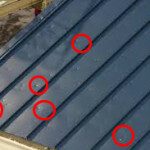 2) After the inspection is complete, if storm damage is found contact you insurance company. You will schedule a date and time for the insurance company to send out an adjuster or contractor to inspect and verify the damage. Your Project Manager will meet them onsite, to provide photos, estimates and scopes of work to repair the damaged property and start the insurance claim process. Severe Storm Restorations LLC will ensure that all property having storm damage is covered by your insurance company with no out of pocket cost to you. A storm damage insurance claim will also not raise your premium. 3) Contact your project manager with your claim number and claim manager contact information. A Project Manager will meet any insurance adjuster and/or building contractor at your property to review scope and estimate. Your insurance company will either schedule a time for an insurance adjuster or another building contractor to come out and inspect and assess your damage. The adjuster will call you to schedule a time that works for you. It is important you schedule a specific time to meet this adjuster. If possible, take down the adjuster’s name and contact number. Once the scope of work is approved by your insurance company, we will schedule a time to sit down and enter into a formal building contract, and will complete all the storm related repairs for insurance proceeds at no out of pocket expense to you.